Louboutin Shoes at a Wedding!! One thing both of us enjoy working with are reflections, so this shot reflects (no pun intended!) our personal style quite a bit. Playing off of reflective surfaces gives us a chance to emphasize the shapes, forms and location of a subject, from a highly polished table top to the top of a grand piano to the surface of a lake. I think it always makes a memorable shot. The image was done with a Canon 5D mkIII and 24-70 f2.8L in natural light. I think she did a pretty good job of it! 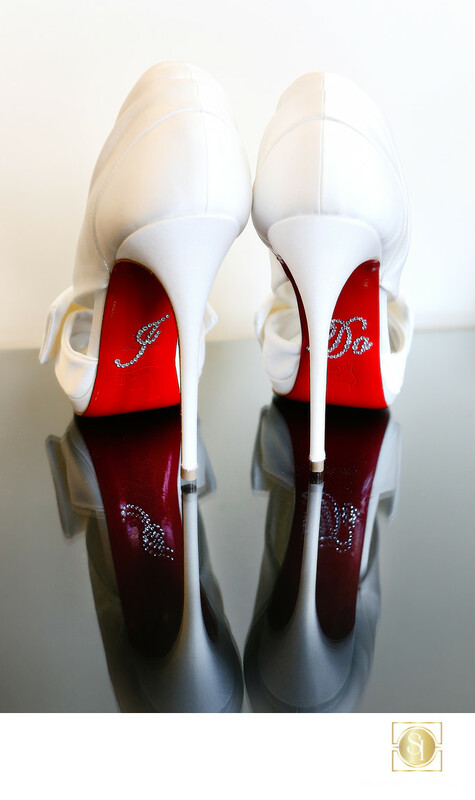 Keywords: brides shoes (3), Louboutins (3), Wedding Photographer (24), wedding shoes (3).